ATTENTION: Initial setup and programming is HIGHLY RECOMMENDED but not included in the above listed price. Please call in to place your order with one of our sales associates. The NCC Reflection Breeze is powered by the most feature-rich software of any product in its class. This system is designed for a wide variety of restaurant concepts including Casual Dining, Fine Dining, Pizza Delivery, Bars and Nightclubs. The Reflection Breeze has the functionality to meet the demands of any restaurant operation. The Reflection Breeze features an embedded operating system that eliminates the risk of software viruses and spyware. You can rest assured that Reflection Breeze will be ready to perform when you need it. NCC Reflection Breeze has the features necessary to effectively and efficiently run restaurants from the small quick service concept up to the large full service table service establishments. Flexibility and Reliability are two key aspects of the NCC Reflection Breeze solution that makes it suitable in a variety of different foodservice concepts. The NCC Reflection Breeze is equipped with the most sophisticated, terminal-redundant network on the market. Using the integrated high-speed Ethernet, all system information is replicated on every terminal across the TCP/IP network. If a terminal is removed from the LAN, all information is automatically synchronized when the terminal reenters the network. The NCC Reflection Breeze is equipped to handle all sizes of quick service operations. 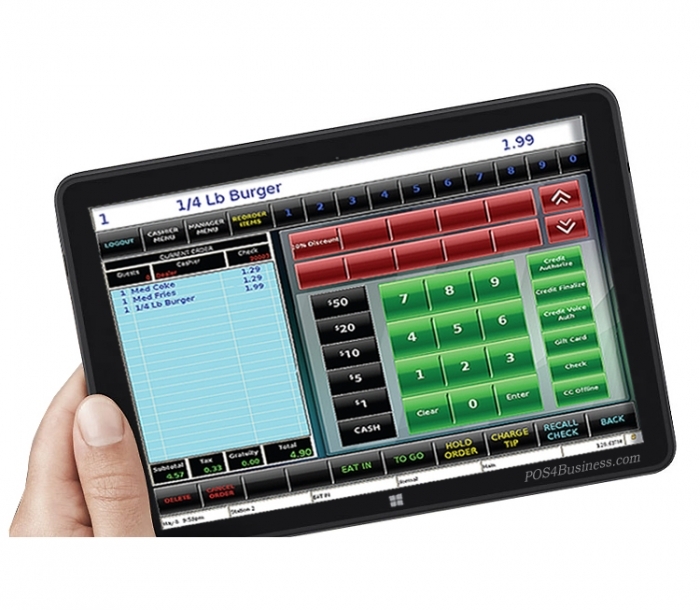 It possesses all operational and management functionality that are key to running an efficient QSR operation. The NCC Reflection Breeze can be easily designed to allow for the various styles of restaurant concepts. From the start of the order process, the various transitions that a guest check can be subjected to are handled quickly and efficiently. Whether in a Cashier style operation or full service using a banked wait staff concept, NCC Reflection Breeze has all of the necessary management control and report tracking to provide an accurate view of the days business. The NCC Reflection Breeze Delivery Module will allow Guest Checks to be created and assigned to customers for delivery. NCC Reflection Breeze can maintain a customer file of 9,999 entries which can be accessed and sorted by Customer ID Number, Phone Number, Address, First and Last Name or by City. NCC Reflection Breeze can create and store new customers on the fly during a first time purchase. When used with PC WorkStation NCC Reflection Breeze can automatically retrieve order history allowing for fast and accurate order entry. Guest Checks created for delivery are managed by the Driver Dispatch functions where accountability for delivery orders are assigned to drivers. Displays a list of Employees Clocked In with Job Code ""Driver""
An integrated Inventory system accurately tracks product and ingredient usage by way of Recipe Definitions and Product Mix information. Item count down feature can signal the wait staff that a particular product is no longer available, while Inventory Reports provide usage details and food cost information. Using the available time clock feature, NCC Reflection Breeze will help managers capture the valuable information necessary to control labor costs. Employee clock in/out procedures can either be performed by numeric entry, magnetic card or digital I-Button. Security levels assigned by Job Codes provide the controls necessary to access POS functions. Detailed time clock reports will provide employee punch time data with accumulated pay period totals, as well as additional reports to provide critical labor to sales information. With NCC Reflection Breeze, no back office PC is required to make changes or add to the system tables. All menu item, employee, screen design, etc. 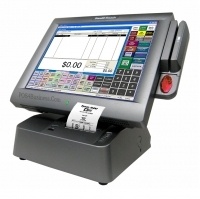 are performed directly on the POS terminal in an easy to use programming mode using an on screen touch keyboard. Changes are accomplished easily and are immediately available to all stations in the POS system. ATTENTION: Initial setup and programming is not included in the above listed price. Please call in to place your order with one of our sales associates.